20oz stainless steel white tumbler, with the perfect inspirational statement in black and silver permanent vinyl. 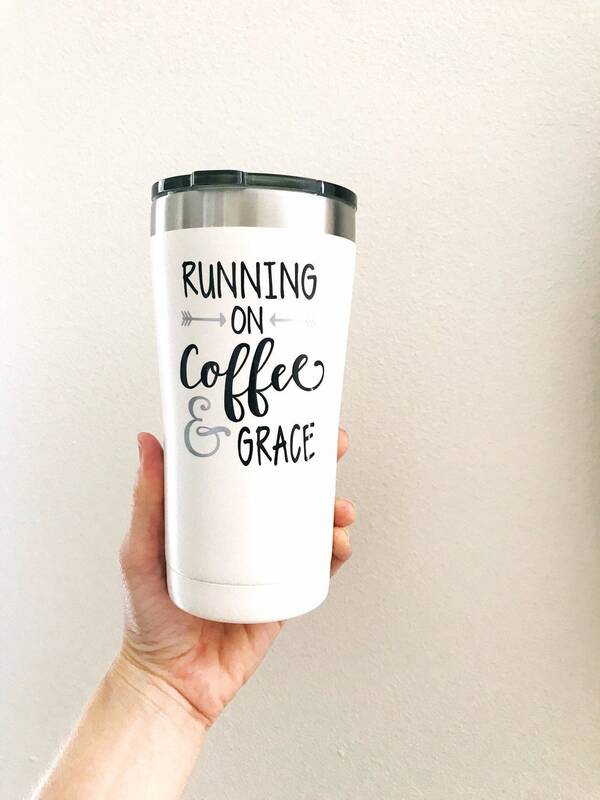 “Running on Coffee and Grace”! !